Why choose Arbors at Carroll? Read first-hand what our valued clientele are saying. Out of the Storm Read More... Kathy N.
Jerry Corwin has been a CNA with MediLodge and its predecessor the Evangelical Home since 1985. He brings compassion and hard work to so many during the midnight shift. His residents proclaim that he is “the best”. They describe his attentiveness such as making sure that Pat B. has her socks on when she needs to go to the bathroom so she doesn’t slip and fall. He thinks nothing of getting coffee for a resident on his way out of the building. He answers call lights quick as lightning and makes his patients feel so secure and cared for. He is a valuable asset to MediLodge and the staff and residents. Pat B. and Dorothy P. wish that he could train all the aids right from the beginning to show them all how to be great. If you get a chance to meet Mike O., you will never leave without a pep in your step and a smile in your heart. Mike came to MediLodge of Port Huron after having heart surgery. Mike was impressed by the open arm welcome and by how clean the building was, especially the floors. “It is very important to me to see how the floors are kept, especially the carpet. Everyone does a great job here. Even the corners are nice and clean.” He also enjoyed how helpful and caring the staff were with him. They went out of their way to motivate him, joke around with him and do what they could to help make his stay pleasant and enjoyable. Therapy was able to really motivate him and help him learn how to shower, dress and take care of himself without hurting or injuring himself. They taught him how to exercise so he could get stronger and gain his confidence again. Mike also had lots to say about the food. He loved the roast turkey and mashed potatoes, breakfast was his favorite and he enjoyed “destroying” a good burger. When it came time to prepare to go back home, Mike really appreciated the extra education about his medicines, and information to help him when he got home. His next doctor appointment was made for him and he was given instructions on whom to contact if he ran into any concerns. He was educated about coming back to MediLodge of Port Huron within 30 days if he found that he needed more care. He was assured that MediLodge would be following up with him to make sure that his home care services were stepping in to assist with the next phase of his recovery. All of these steps really helped to put Mike’s mind at ease as he continued to recover and get back to enjoying all his favorite activities again. Congratulations, Mike on your graduation from MediLodge of Port Huron therapy! Judy has been a Lodger at Medilodge of Port Huron for over 4 years now. She went there after a hospitalization stay and was very happy to see how much the staff cared for her and her commitment to get better. She said she was immediately impressed by the atmosphere and how comfortable it was. Judy is a social creature who loves to help people and be involved in daily activities. She feels that the staff really make a difference in helping her live as independently as possible. As someone who worked in the service area, she understands how much a positive attitude contributes to a caring staff and a caring community. A few years ago, Judy’s family wanted her to come home and try living on her own. John G. didn’t know what to expect when he came to MediLodge of Port Huron. After Pneumonia and eye surgery, he knew he needed to get his strength back to be able to go home and get to work on his Blue Water Bridge artwork he has all planned out in his head. Although it was very out of his comfort zone to come to a skilled nursing center, he really appreciated how much he was treated like a gentleman and was able to keep his freedom. Therapy worked great in helping John become stronger and more confident. He felt like he is much more able to return to his assisted living apartment in a safer and healthier way. John was often caught “serenading” other Lodgers with his harmonica. At the age of 8 or 9, John was given a harmonica as a gift. He always liked music and he would practice and practice until he perfected the skill. “My Old Kentucky Home” was the first song he learned while riding home from school on the bus. If John found out that a person had a birthday coming up or just passed, he would come out and play “Happy Birthday” on his harmonica. “Silent Night” is another of his specialty tunes. MediLodge of Port Huron will miss the musical moments of John G., but we are all blessed to have had the chance to meet him. John admits that if he ever needs our services again, he would not hesitate to return to us. He really appreciated all the care and smiles that were given so freely by everyone. He went home feeling motivated, positive and full of life and energy. Nancy B. came to MediLodge of Port Huron at a low time in her life. She had undergone a knee replacement that ended up getting infected. Seven operations later, she was doing all she could to keep her hope alive to save her leg. Nancy was depressed, discouraged and afraid. She felt trapped in a deep well of darkness. When she came to MediLodge of Port Huron, she felt like she entered a 4 star hotel. The staff was very welcoming and friendly, the place was clean and beautiful. “This center is the cleanest, nicest and best service I have ever received.” Her private room was a haven for healing. However, she still could not wait to get home. She was eager to start therapy so that she could get her strength back. But then another setback… yet another surgery. At this point she was on her last thread of hope. She was afraid that she could possibly lose her leg altogether. This is where staff stepped in to encourage her, pray with her and help her stay positive. Family and friends came from all over to visit with her and help lift her spirits. With everyone’s’ help, she faced her surgery bravely, ready to accept whatever God had in mind for her. She would find out if the surgery was successful at her follow-up appointment. She was finally able to start her therapy. During her time of waiting, Nancy began to talk with other lodgers in the building and make friendships there as well. She encouraged others as they also encouraged her. She got stronger. “I can feel God walking by my side during all of this”, she declared. When staff visited Nancy in her room, she now had a smile on her face instead of tears in her eyes. She radiated a sense of victory instead of loss. She was climbing out of that dark well. After much hard work and growing determination, Nancy was finally able to stand up and transfer herself on her own! This was a huge milestone for someone who was very close to losing her leg. At her follow-up appointment, the news was good…the infections were gone, her wounds were healing nicely and her heart was filled with joy again! Nancy exclaimed, “The amount of support, encouragement and friendship I received from everyone here was wonderful. I would recommend for anybody to come to MediLodge of Port Huron for top quality care and emotional support…I think they perform miracles here. “Nancy was finally able to go home to finish up her recuperation. She has decided that after she has fully healed, she would like to come back to MediLodge of Port Huron and become a volunteer helping to encourage and lift up others as they have done for her. Congratulations, Nancy, we are proud to watch you stand tall in victory on higher ground! 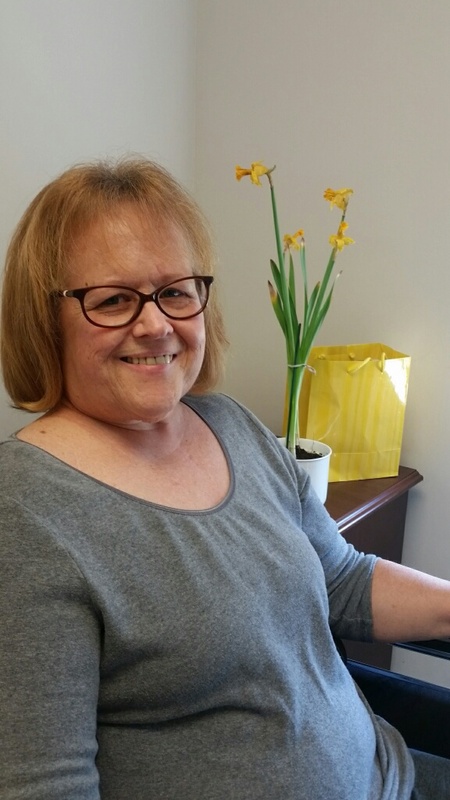 Shirley S. is one of the latest therapy graduates of MediLodge of Port Huron. Shirley had stayed at a different skilled nursing center in the past. When she slipped and fell on black ice this winter, she found herself needing short-term nursing and therapy to recover from a fractured femur. She returned to her last center only to be disappointed with the inflexible schedule and lack of private rooms. She then took it upon herself to switch centers. As you can see, Shirley has a passion for life and she loves to be the captain of her ship. At MediLodge of Port Huron, she felt that she could continue living her life as she wanted and was also able to take full advantage of the high quality nursing, therapy and food services to help her Recover, Rejuvenate, Revitalize and Return Home. When Anna Deni was making the decision of where to go for her post-surgical rehabilitation after her second knee replacement, she had no question that it would be Medilodge of Port Huron. Anna first came to Medilodge after her first knee replacement surgery. She thought she would be going home for her rehab, but friends and family felt strongly that she should go somewhere where she could have 24 hour care and top notch therapy to get her back on her feet quicker, safer and stronger than she could at home. When she arrived at Medilodge of Port Huron, she was struck at how caring, friendly and attentive the staff was; how beautiful the facility was; and how really, really good the food was! She found that the therapy staff was very encouraging and positive. They taught her the correct and safe ways to move, which helped her feel more confidant and safe. She was back on her feet much earlier than she ever thought possible. Anna appreciated the teamwork, positive attitudes and respect that the staff had for each other. “They are truly dedicated to their work and really care about the residents,” she says. Therapy was not some pushy, cookie cutter approach, but rather an individualized program that took her wants and needs into consideration. Anna was eager to reconnect with all the wonderful people she had met her first time at Medilodge of Port Huron and knew she would be well taken care of. She has kept in contact with many of them such as Donna, Nicole, Elyse, Amanda, Jennifer and Rose who made such a difference to her. She felt like she was going on a vacation with her friends at Medilodge, to relax, get better and eat well. To Anna, Medilodge of Port Huron turned out to be so much more than she expected. She found lifelong friends, laughter, encouragement, strength and hope. She loves the teamwork and positive attitudes that the nurses and staff have and feels bitter sweet about leaving at the end of her stay this time. She has enjoyed the Medilodge experience so much that she has decided to have her pet Pug, Sissy, become a therapy dog, and the two of them want to volunteer their time at Medilodge to help others feel better also. Anna knew she found a second home here, and didn’t’ think twice about where she was going for her post-surgical therapy the second time around. Twice IS Nice, at Medilodge of Port Huron. Richard W. knew exactly where he was going for post-surgical rehabilitation after his knee replacement surgery. He knew because when his wife had been at MediLodge of Port Huron in the past, they loved how professional and clean the place was. They were impressed with the spacious private rooms, private showers and the fact that the staff is always friendly and attentive. “The food was pretty good and the staff was so professional” Richard states. “While I was here for my own stay, I experienced the same friendly and professional staff. The therapy folks are so knowledgeable and really helped me get back on my feet in no time.” Richard said he would not hesitate to recommend MediLodge of Port Huron to a neighbor or family member. Everyone there knew their profession and did it well. The feeling of “good customer service” really showed through. Gerald S. originally came to MediLodge of Port Huron because of the great referrals that his friends and family gave him and the fact it was close to home. His family could come and visit him anytime and he appreciates how inviting our building was. Gerald had fallen at home and needed to get stronger so that he could return home safely. “The therapy staff was wonderful and helped me be motivated to do more than I thought I could”, Gerald states. “The food is good and the staff is terrific”. Gerald’s daughter even described the nursing staff, “They have that human caring touch in all they do. I would watch them tuck staff in and really care for them as people, not just a job.” Gerald and his family felt that he was cared for with dignity and compassion and would recommend MediLodge of Port Huron to anyone who needed short term therapy. Ron E., a recent therapy graduate, came to us with a broken femur 3 weeks after suffering a previous broken femur on his other leg from slipping on ice over the winter. While trying to rehabilitate at home, he had passed out and fell breaking his other leg. After surgery, he found himself needing the skilled nursing services that the MediLodge of Port Huron Wellness Center could provide. For a gentleman who was used to doing everything himself, it was hard to have to rely on strangers to help him with every day activities. However, Ron and his family were greeted with warm, friendly faces and encouraged to participate however they were comfortable. “We really liked the freedom that MediLodge of Port Huron gave us to help take care of him”, his daughter stated. Having his family able to be there and help, made Ron feel better about his recovery. They really got to know many of the staff and appreciated how helpful they were. The everyday care helped them learn how to assist Ron when he returned home, it helped the whole family to be on the same page. Ron really grew to become part of the MediLodge team and we will miss him. Congratulations, Ron, for getting back on your feet and on the road to recovery! Its official, the new Short- Term Therapy Wellness Center at MediLodge of Port Huron is now open. This wing offers a peaceful setting for Lodgers to come Recover, Rejuvenate, Revitalize, and then Return Home. Darlene D. is one of the first Lodgers to stay on the new Short-Term Wellness Center Wing. She described her stay for us: “So far it has been a very good experience. The staff is very nice and helpful. The therapy has been very good to help strengthen my muscles and get me ready for going home. The rooms are spacious, peaceful and beautiful. The TempurpedicÒ mattresses are very comfortable and the food is great too!” She came to MedLlodge on the recommendations of patients of her grandson, who is a dentist in the community. He had asked around and found that many of his patients felt that MediLodge was the place to be. They said that MediLodge takes great care of their patients and that is very important. Timothy B. was more than happy to come back to MediLodge of Port Huron when he found himself in need of therapy after recovering from a stroke. Mr. B. had... Read More... Timothy B.
Timothy B. was more than happy to come back to MediLodge of Port Huron when he found himself in need of therapy after recovering from a stroke. Mr. B. had a great experience last time and felt very comfortable returning. Timothy had some pretty ambitious goals to develop his strength and tolerance on a more aggressive schedule so that he could attend an important event in just a few weeks. He worked well with therapy staff to push himself in a safe and managed pace. “I would push myself and do more than was required, but the staff would supervise me and make sure I wasn’t hurting myself either”. This time at MediLodge, he has been able to recover quicker and with more strength than before. Timothy enjoyed the comfortable room and really valued his privacy. He appreciated the free WiFi so he could use his computer and phone without any issues. Although he did not take part in the many social opportunities offered at MediLodge of Port Huron, he took advantage of the time to work on his hobby of detailed model figurines. Everything was attended to in a comfortable and acceptable way, says Timothy. “I even got hooked on the Grilled Cheese Sandwiches. I appreciated the flexibility in the meals and the staff would even accommodate an occasional late night snack. Food was delicious and on time.” Overall, Timothy will be attending his event on time and stronger than ever, thanks to his dedication and the caring staff at MediLodge of Port Huron. Mamietta B. Feels Good! After having knee surgery and coming to MediLodge of Port Huron for Short Term therapy, she is leaving using a walker and feels stronger and more... Read More... Mamietta B.
Mamietta B. Feels Good! After having knee surgery and coming to MediLodge of Port Huron for Short Term therapy, she is leaving using a walker and feels stronger and more confident than ever before! In just 11 days, this transformation has lifted her spirits and motivated her in such a positive way. Mamietta declares “The therapy department is just fabulous. They don’t let you baby yourself. The staff is awesome, especially Ruthie and Nicole and Danielle who were assigned to me. I would not have been motivated to do the things they helped me to do and the staff was just so positive and believed in me. That helped me believe in myself and get excited to go home with confidence.” Mamietta explained how attentive and caring the staff was and that she felt safe and secure here. The food was good and she had no complaints. She loved the bedside manner of the staff. They were so courteous and caring, it really made a difference. She especially liked how neat and clean the place is. “That means something when people take care of things and have pride in their workplace”, she says. Mamietta plans to continue to recover at home doing the exercises and stretches she was taught and wants to come in without her walker later to MediLodge and personally thank everyone who helped her. She wants to let everyone know that she …FEELS GOOD!